An ideal choice for warmer nights, this pyjama set from Rebelle will keep you cool and comfortable. 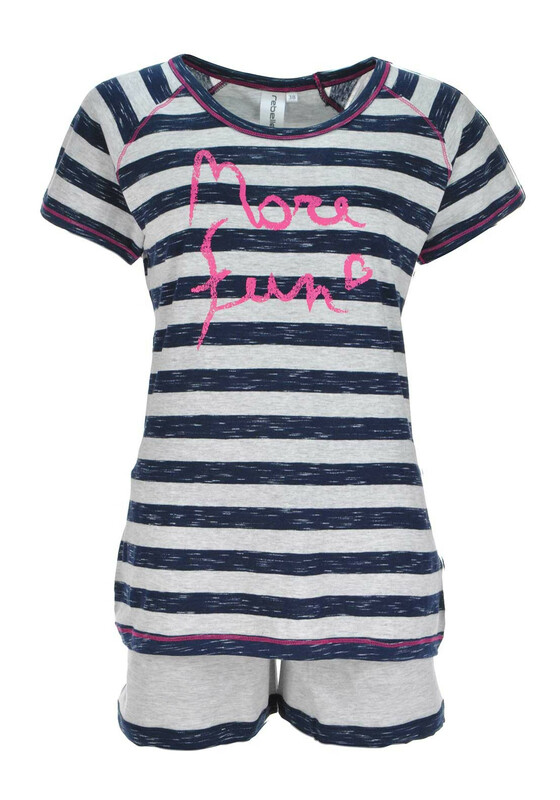 The short sleeve pyjama top is made from soft stretch cotton fabric with a grey and navy striped print throughout and hot pink ‘More Fun’ text graphic on the front. The grey shorts feature a navy elasticated waistband.